STEAMBOAT SPRINGS — Nursing, for Jan Fritz, is more a life’s mission than it is work. As soon as she was old enough, she became a candy striper. 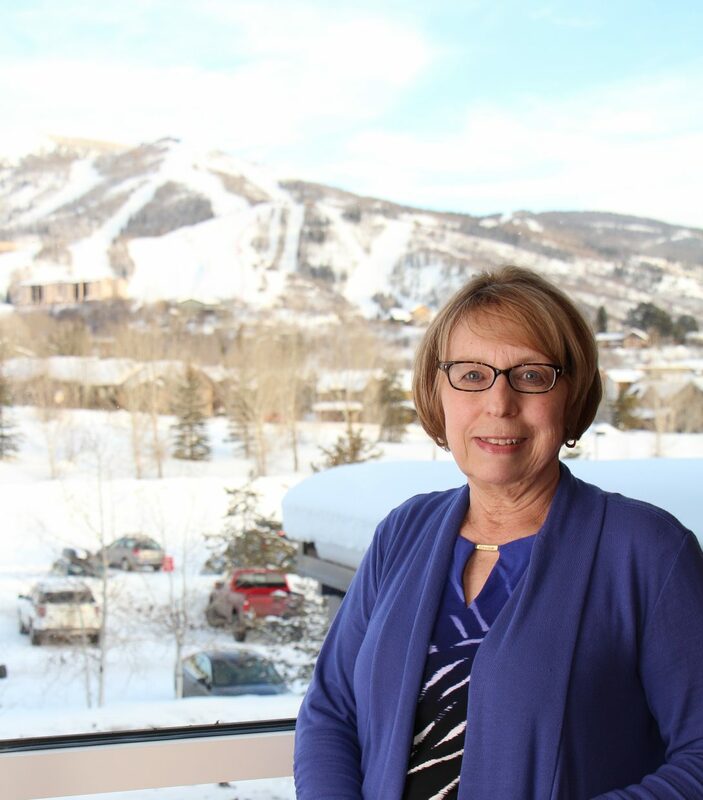 For more than 30 years in Steamboat Springs, Fritz, director of cancer services at the UCHealth Jan Bishop Cancer Center, has been a guiding force for patients and their families as they navigate through two of life’s most difficult journeys: cancer and hospice. Not only has she been a constant source of kindness and professionalism for countless people, Fritz also was instrumental in bringing both hospice care and cancer treatment to the community. For her commitment and contributions, Fritz was named the 2019 winner of the Hazie Werner Award. “Looking at all the women who have won the award, it is a great honor to be chosen,” Fritz said. Hazie Werner spent her childhood in Routt County delivering babies, selling beef and butter off a sled and helping her mother deliver soup to sick people during epidemics. She moved to Steamboat in 1944 and raised three Olympic skiers, including the ski mountain’s namesake Buddy Werner, who died in an avalanche in Switzerland in 1964. With a master’s degree in nursing, Fritz has been passionate about cancer and hospice care throughout her entire career. Her personal experience with her parents, both with cancer and hospice, only fueled her devotion. In the early to 1990s, Fritz played a central part in starting a hospice program through the Northwest Colorado Visiting Nurse Association, now Northwest Colorado Health. Prior to moving to Steamboat, Fritz worked on a hospice board in Fort Wayne, Indiana. “That’s where people want to be — at home with their families,” Fritz said. Over several years, she worked diligently with a small group of people until all certifications were complete and the program was fully funded and functioning. Fritz played an equally critical role for more than 20 years working to expand local resources for cancer patients. When she began caring for cancer patients both in their homes and at the hospital, she was frustrated by the fact they had to travel so much to Denver for treatment. “It takes a big toll on the patient and the family,” Fritz said. She was determined to figure out how more could be provided in Steamboat, and she received support from the hospital. “It took a lot of us putting our heads together,” Fritz added. It started with bringing a few new tests and procedures to Steamboat and an oncologist once a month. They were eventually able to bring chemotherapy treatment to Yampa Valley Medical Center, and for many years, Fritz and others provided cancer care in whatever borrowed room they could find, because there was no dedicated space in the hospital. “things snowballed from there” into what is now the UCHealth Jan Bishop Cancer Care Center. By the time the hospital moved in 1999, they were doing chemotherapy treatments about five days a week and had oncologists coming from the Front Range several times a month. “Things snowballed from there,” Fritz said, and in 2017, the 8,000-square-foot UCHealth Jan Bishop Cancer Care Center opened. The new facility, Fritz said, was built around input from patients. Over the years Fritz has also dedicated her time to YVMC Ethics Committee, Ski Town USA Morning Rotary Club, Bust of Steamboat, Steamboat Booster Club and Northwest Colorado Aid & Support. She won the Doc Willett Health Care Heritage Award in 2011 and was the 1996 recipient of the Colorado Florence Nightingale Award. Other passions include the music programs at St. Paul Episcopal and Concordia Lutheran churches, creating fabric designs and trips to the West Coast to visit family. “I had the opportunity to meet Hazie in her home and have admired her grace, her humility, her sense of community and having the common sense to get things done for the good of the people with whom she lived,” Fritz said in a news release. “The heart of the community is its people. There is always a way to make life better, but it takes the determination of the people to create a future to be proud of. In addition to the Hazie Werner Award, Steamboat Resort will present Snowball Community Grants to Partners in Routt County and UCHealth Yampa Valley Medical Center Foundation in the amount of $10,000 to each organization. The foundation will distribute the funds in Fritz’s name to the Jan Bishop Cancer Center. A reception to honor Fritz and the Snowball Grant recipients will be held from 5:30 to 7 p.m. Thursday, Feb. 21, at the clubhouse at Haymaker Golf Course. The public is invited to attend. To reach Kari Dequine Harden, call 970-871-4205, email [email protected] or follow her on Twitter @KariHarden.